Last week, somebody asked me what was my favorite horror movie, and I said Alien. But everybody probably knows this by now. The monster movies that most influenced me from childhood were the original King Kong, The Creature from the Black Lagoon, The Seventh Voyage of Sinbad, and Alien. As far as movie monsters go, the most “real” suits in my opinion have always been the Creature, Alien, and Predator. And I know I am not the only person who thinks this. 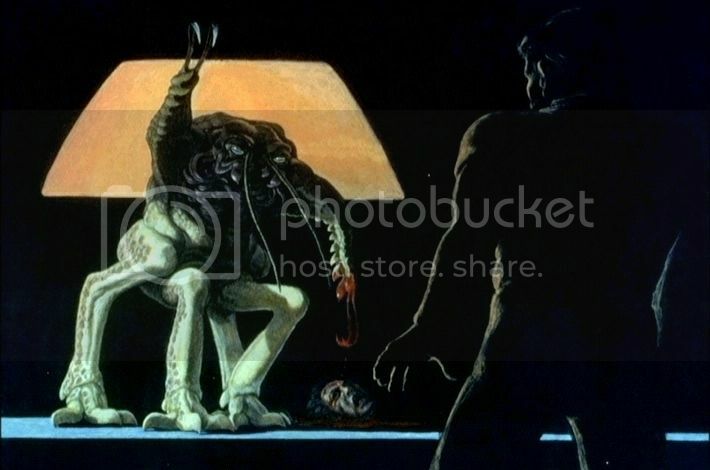 Alien is essentially a slasher movie in space. You have your semi-generic cast trapped in an enclosed location with a silent, inhuman killer who knocks them off one by one until just the Final Girl is left. And yet, it uses that framework to tell a really good story, be genuinely tense and terrifying, sprinkle in just enough Freudian overtones to be creepy, and pack more fine detail into one movie than most whole series get. Seriously, try to study the sets sometime. That level of immersiveness helps carry viewers along through its comparatively slow first act, and then into the bloody terror that follows. There have been quite a few figures made of the original Alien monster, from the ’70s Kenner toy (this one REALLY showed off the skull underneath its dome) to the ’90s Kenner figure to a whole bevy of toys made both stateside and in Japan within the last decade. McFarlane Toys created what used to be the definitive figure in the mid-’00s, but that toy was inaccurate on a few fine points. Still, it was a fantastic piece of work, and I lament that mine vanished in a move. Someday, I shall replace you! NECA has just produced another new one. This is not their first attempt, as they made one a long time ago, but it is certainly the first made according to their awesome modern standards. And it came out just in time for the movie’s 35th Anniversary! 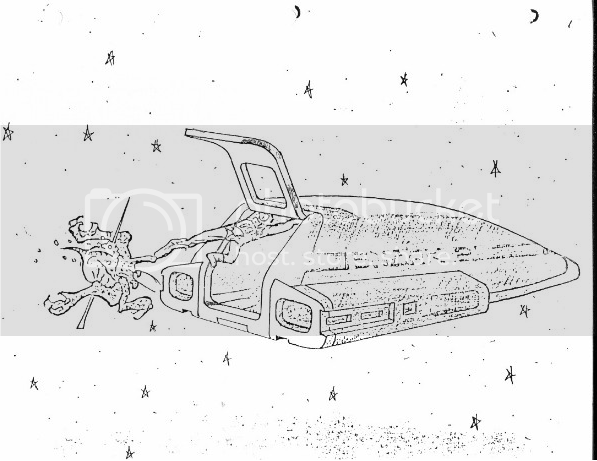 So, whether you call it “The Alien,” “Big Chap,” “Kane’s Son,” or whatever, let’s take a look! The Alien comes in a basic NECA clamshell, which shows of the figure, proclaims this to be the movie’s 35th anniversary, and has a little blurb on the back about how In Space… Nobody can Hear You Scream. At first glance, I thought that the figure mostly used parts taken from the Aliens Xenomorph. But on closer inspection, it turns out that nearly every piece is unique! For the upper arms, thighs, and torso, the differences are very minute, but you can see them if you put the figures side-by-side. This is an insane dedication to detail and quality, tooling new parts that almost nobody will notice. Bravo! The figure is sculpted very similarly to its sequel counterpart, however, including the rubber over the waist. Overall, the Alien from the first movie is more humanlike than in the sequel. Its feet are less clawed, its proportions are slightly more “normal,” its exoskeleton is less spiny, and its hands seem more like real hands. The top of its head is a smooth, smoky white/translucent dome that clearly hides ridges and a skull underneath. This was intentional – the suit originally showed those details, but the filmmakers decided that it would look better eyeless and without the skull, so they added the dome. This changes the Alien from a skull-faced, evil-looking monstrosity to a sleek, eyeless, completely “alien” biomechanical nightmare. I love it! Speaking of that dome, it is glued in, but removable with a little bit of work. There are three main connecting points, two tabs on the sides and one glued spot in the back. Work out one tab and then the other, and then peel it off – you can even bend the dome back into shapeto replace later! I got a second Alien in order to do this, just like I did with my McFarlane Aliens. The Kenner Warrior Alien also had a clear dome with something underneath, but I never got a duplicate to pry one off. Someday, I shall see what was under there, though. What lies beneath the Alien’s head dome looks accurate to all the promo pics of its dome-less visage, though the paint is a little flatter and starker in order to bring out its details through the dome. Getting a screen-accurate Alien is surprisingly difficult. McFarlane Toys released what used to be the gold standard, only it was really dark translucent amber, and its dome wasn’t white enough. 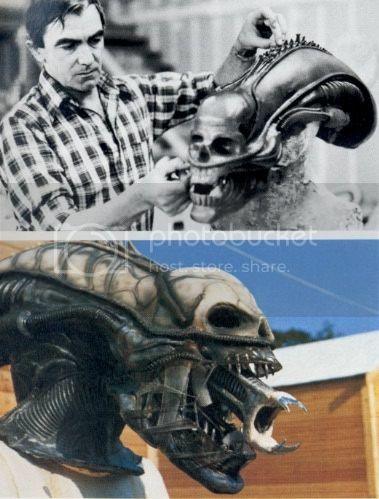 Some other companies have also taken a few stabs at it, usually going for the Alien as it appears in a darkened room rather than the costume itself. So it apparently came as a surprise when this one came with its bright, white head dome, but that is accurate to the costume. Remember how, with the Xeno from Aliens, people were not sure if its brownish color was correct, but it turned out to be the right one? This Alien has a simialr issue. You never really see it in bright, plain lighting (you sorta almost do a few times), so the exact color of its head dome is kind of hard to tell. As a result, some people have expressed concern that this figure isn’t painted right. As far as I can tell, though, it is. The head dome was translucent, but foggy and very white in plain sight, only to look dimmer in darker lighting conditions. It probably could have been a little more translucent, but this is honestly just fine as-is. The Alien’s body has a very light silver wash to bring out the details, and silver apps on its nails and teeth. The tendons in its jaw are painted much more subtley than on the one from the sequel, though its inner jaw is exactly the same. Underneath the dome, the Alien’s skull is bone-white with black apps to bring out its raised ridges, veins, and eye sockets. The Alien is articulated almost exactly the same as the ones from the sequel. 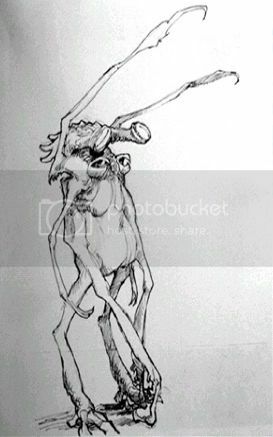 It has a ball-jointed head, torso, wrists, and ankles, ball-and-socket shoulders, elbows, and hips, double-hinged knees, a hinged jaw and toes, an extendable inner jaw, and a bendy tail. The sequel Xeno’s elbows are double-jointed, but that is the only difference. This figure also has a removable dorsal spike for freedom of head movement, though you can usually work around the spine if you want. Its head motion is slightly restricted by the tubes connecting to its jaw, but not very badly. The mouth itself opens pretty wide, although if you go too far you will see a gap when its cheek runs out of materials. Both of mine have sturdy, tight joints, though some are invariably going to end up loose. You can pose the Alien pretty much however you want, which is fine by me – I like to imitate some of its movie poses, which may not have been too complex, but were menacing enough. Nothing. Nada. I would have loved a Facehugger or Chestburster, but I understand that a figure of this size and complexity kind of eats up the budget by itself. Maybe when we start seeing other characters in later waves, we’ll get a few of those accessories in. This figure should retail for $20-$25. At $20, you are getting a good bang for your buck. $25 is more standard, and above that will begin to hurt. Potential issues with the 1979 Alien are: Its dome might crack or warp (a lot of them seem to be slightly off-center, or one side lifts up a bit from the head), its neck tubes can be fragile, the jaw might not stay closed, and the rubber over its crotch piece could see some tear. These are pretty much all the same issues that the other Xenos have, though mine have all been free of this so far. This is a NECA figure, so you should be able to just waltz into Toys R Us and find one. There are also a few going for reasonable prices at BBTS, Amazon and eBay. The Alien design changes a little bit in each movie, and I honestly think that this one is my favorite. There is just something about the way it looks – nothing is exaggerated to look “cool” (the huge tail stingers on the AvP ones), or overly-extreme (the head domes and jaws on the Resurrection ones), or anything like that. I even prefer the smooth dome’s simplicity to the second movie’s admittedly more-realistic ridges. The whole package just looks so alien and foreign to human sensibilities, that it really made the movies. 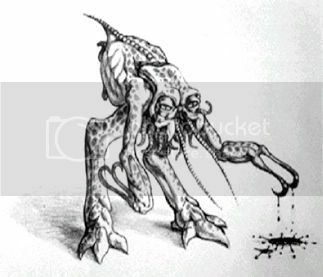 Funny thing: Back when the film’s working title was still “Star Beast” and it starred a bunch of chatty ’50s-style scientists with names like Faust, Hunter, and Captain Chaz Standard, the Alien’s design was going to be a multi-legged, tentacled, bug-like monstrosity. I think that what we got was far superior to the designs we almost had. Don’t you?